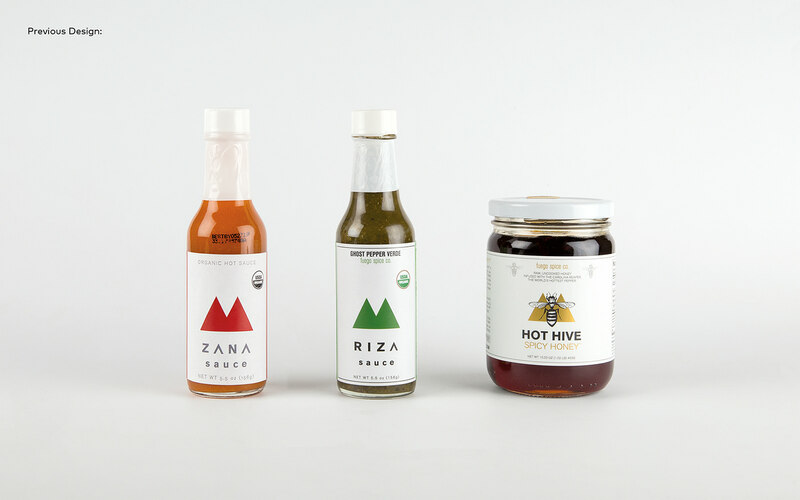 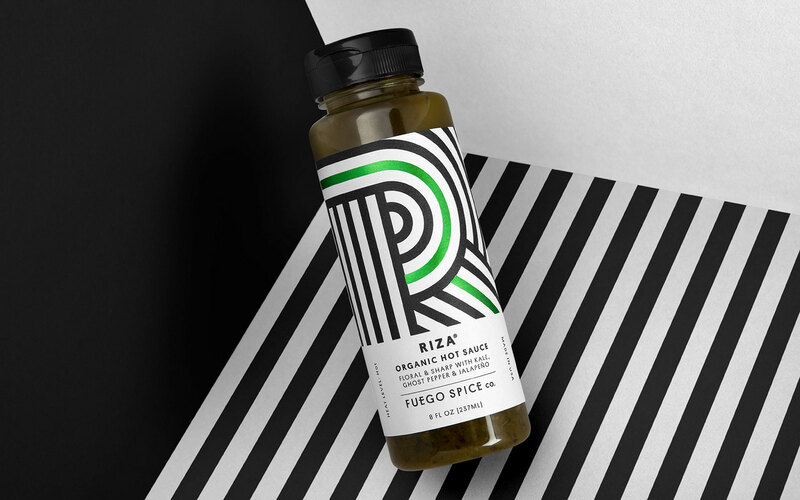 California based Fuego Spice Co. asked us to put flavour over fire and rebrand their Zana and Riza sauces and Hot Hive Honey. 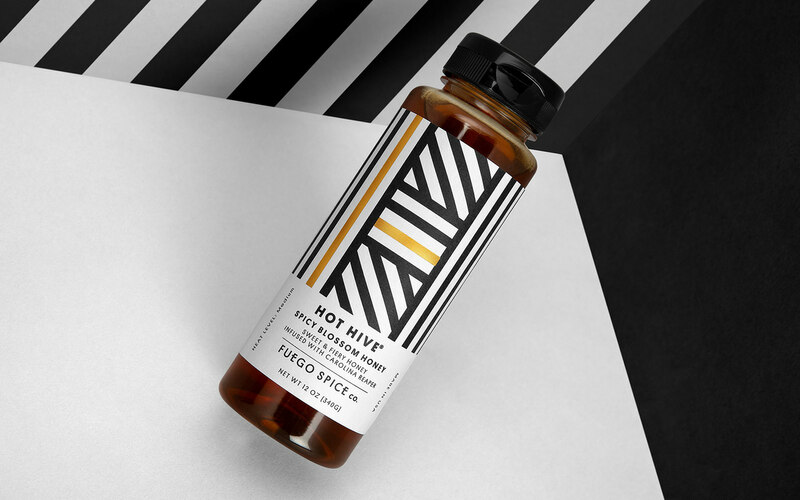 A massive category in America, hot sauce shelves are packed with producers jostling for the attention of hotheads. 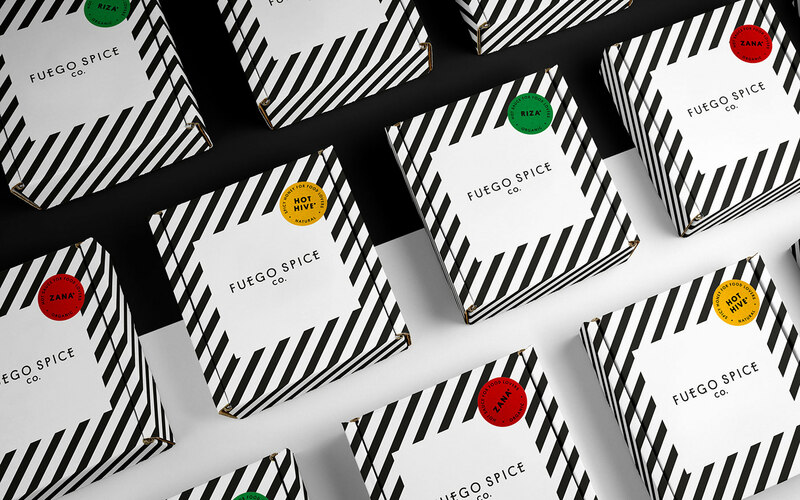 Fuego Spice Co. asked us to understand the opportunity within the category and provide an aesthetic that elevates the brand to rise above the ruckus. 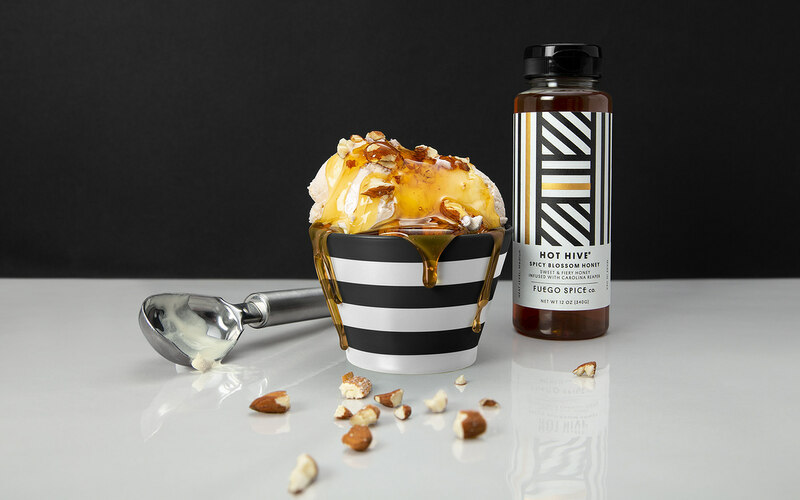 These sauces aren’t scrambling for the top spot on the heat scale. 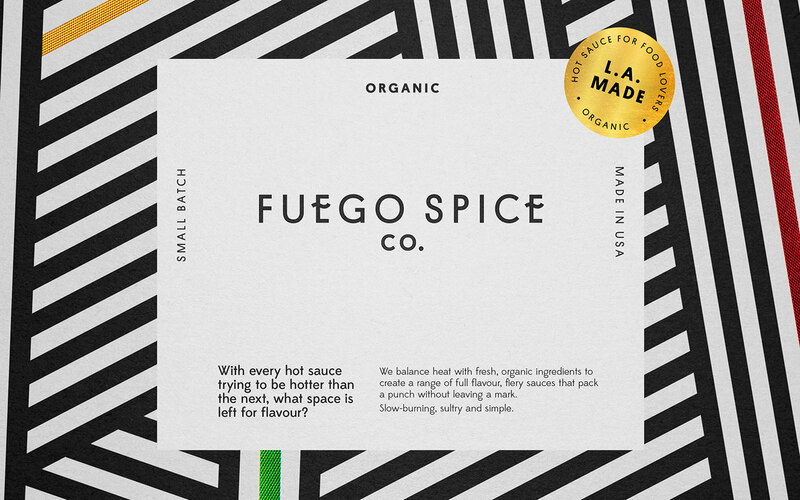 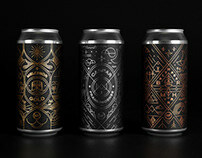 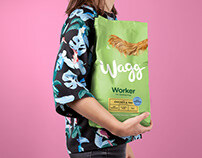 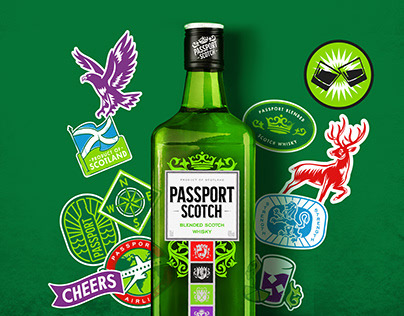 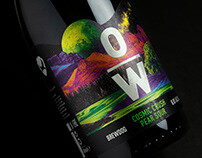 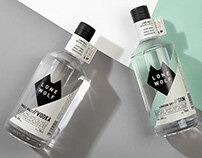 The range focuses on flavour over fire so the design needed to move away from the gimmicky style of the category. 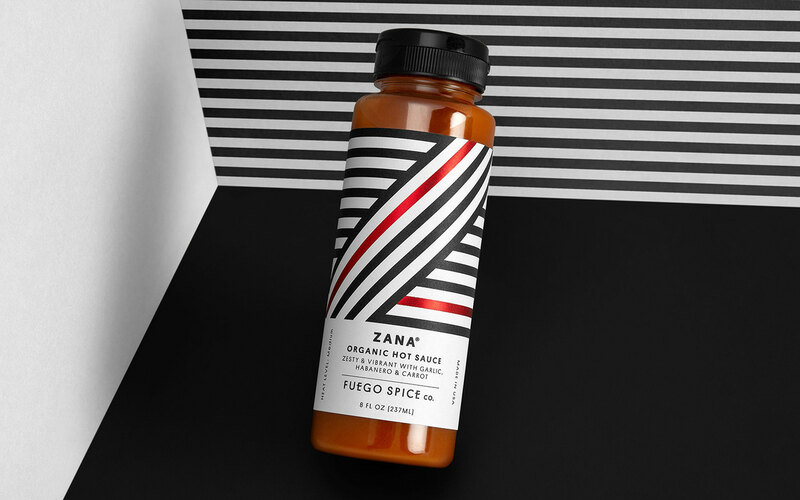 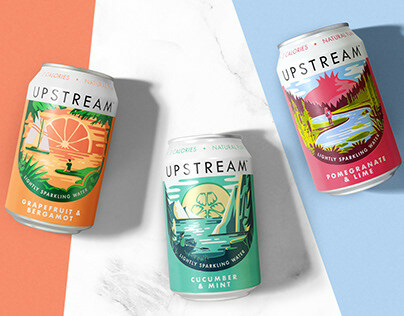 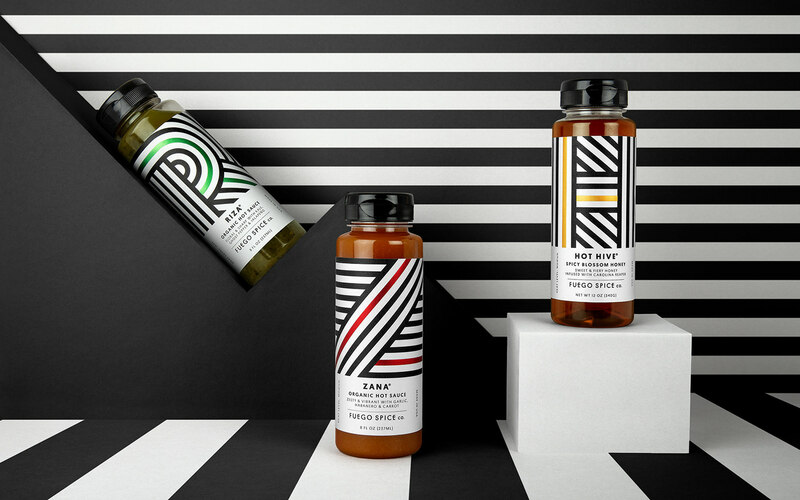 We decided to look outside of hot sauce at more premium lifestyle products to pull some unexpected sophistication in a category where novelty normally rules. 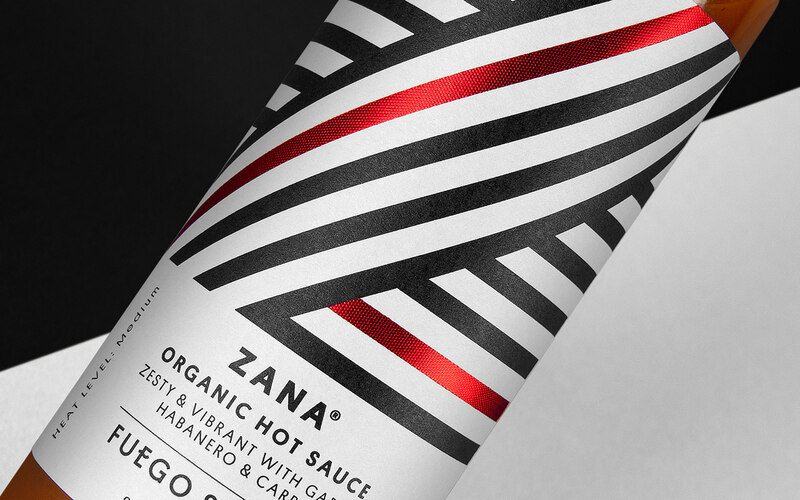 To establish Fuego’s hot sauces as a legitimate premium option, bold abstract lettering identifies each sauce and metallic foils are set off by a matte white background. 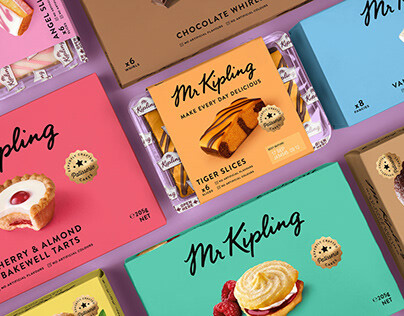 We initiated more of a hierarchy, giving prominence to the master brand and filtering the information down to flavour profiles.